As well as top award for Egypt, Hilton Luxor Resort & Spa was also ranked 3rd in the Top 25 Hotels in the Middle East. Hilton Luxor Resort & Spa was chosen as the overall winner in the “Top 25 Hotels in Egypt “category by TripAdvisor.com in its 2012 Travelers’ Choice Awards. Hilton Luxor Resort & Spa was presented with seven Travelers' Choice awards in different categories from TripAdvisor, the world’s largest travel website. The categories included Top 25 Trendiest Hotels in Egypt, as well as Top 25 Relaxation & Spa Hotels and Top Hotels for Service not only in Egypt, but in the Middle East. 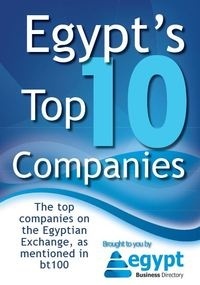 As well as top award for Egypt, Hilton Luxor Resort & Spa was also ranked 3rd in the Top 25 Hotels in the Middle East, 4th for Best Relaxation/Spa Hotel in Egypt and 8th for the same category in the Middle East, while placing 8th for the Best Service in Egypt and 13th for the same in the Middle East. Hilton Luxor Resort & Spa was named the 15th Trendiest Hotel in Egypt while the Hilton managed Conrad Cairo Hotel ranked 18th Trendiest Hotel in Egypt. TripAdvisor.com operates in 30 countries and assists customers in gathering travel information, posting reviews and opinions of travel-related content and engaging in interactive travel forums. TripAdvisor is the largest travel community in the world, with 50 million unique visitors each month and is home to over 60 million reviews and opinions. For the complete 2012 Travelers’ Choice list, go to www.tripadvisor.com/travelerschoice. Hilton Luxor Resort & Spa is currently offering a special promotion. Book four nights at the resort to receive a complimentary night and automatically be upgraded to a Nile view room. You will also enjoy daily breakfast and dinner buffet, access to the thermal spa area, and entrance tickets to the best sites in Luxor, including Luxor Temple, Karnak Temple, Mummification Museum and Luxor Museum.